8K Cinemas a.k.a Big Cinemas / Movie City screens Hindi, Tamil and Telugu movies every week. The theatre has been around for a long time at its present location 1655 Oak Tree Road in Edison. Initially, it was managed by a Punjabi operator. 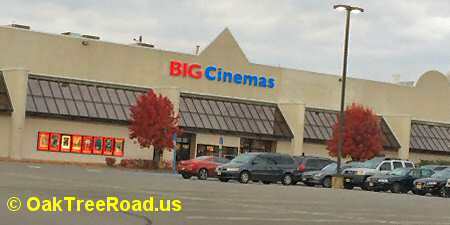 But Anil Ambani acquired it a few years back and made it part of his Big Cinemas network of theaters in the U.S. The theatre still has a shabby, run down look compared to Regal or AMC Loews. We would not recommend Big Cinemas because the overall viewing experience is horrible.